The last few weeks have seen VW making plenty of headlines and all for the wrong reasons. It must be some relief to the management at Wolfsburg, Germany to be able to announce some good news. 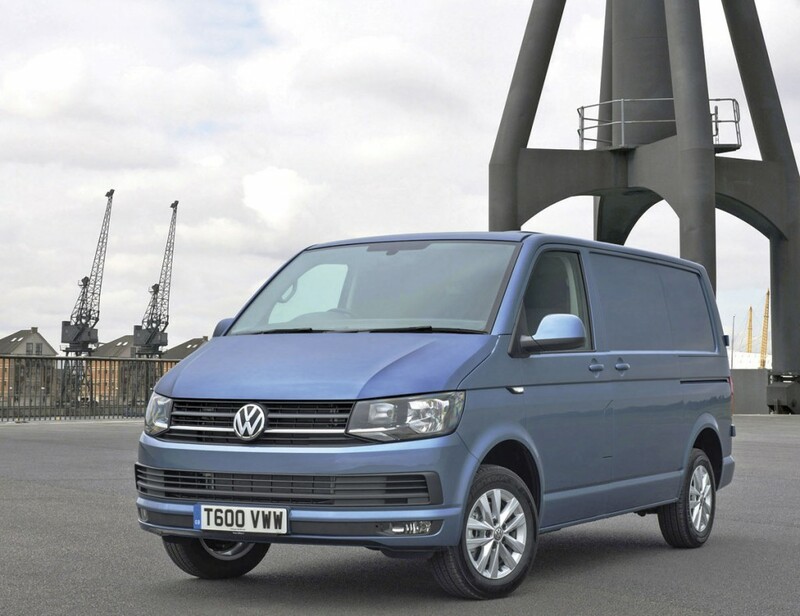 That good news is the impending arrival in the UK of the first examples of their new mid range van/minibus model, the T6, better known by many as the Transporter or Caravelle. The stylish new VW T6 Transporter van. Many bus and coach operators have a VW Transporter in their fleet for use as a crew bus, shuttle bus, schools/social services vehicle, local authority licensed private hire vehicle or as a taxi. The fact that it is available wheelchair accessible is an added bonus. It is also popular as a conversion base for specialist operations perhaps the most notable being the Mellor (formerly Bluebird) Tucana directly wheelchair accessible 15 seat minibus. 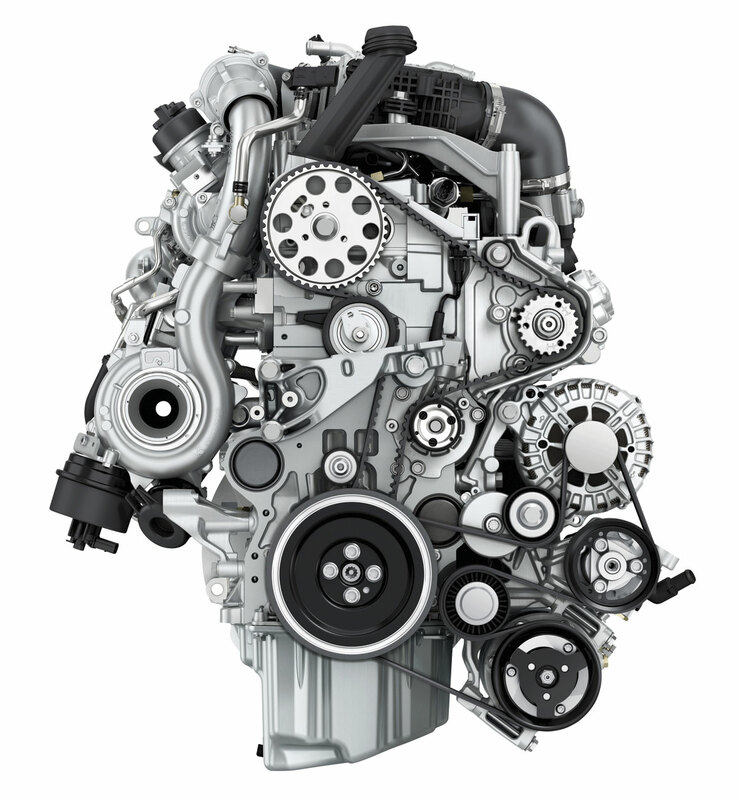 The heart of the new VW T6 is a completely new generation of TDI engines offering both Euro5+ or Euro6 conformity depending on requirement. 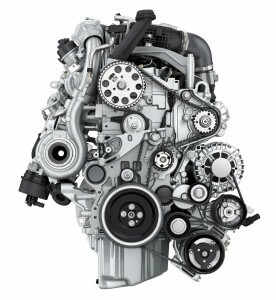 The engines are 2.0 litre four cylinder common rail, direct injection, turbocharged diesels. Emission control on the Euro6 engines is achieved by the use of AdBlue. VW are claiming that they develop more power, are quieter and more fuel efficient than the previous engines. which is widely used as a taxi, if fitted with the Euro5 EA189 series 1.6TDI and 2.0litre TDI engines, could be affected. The new 2.0 litre Euro6 engine available with power outputs up to 204bhp. The new T6 bristles with features like the new adaptive chassis control, Dynamic Cruise Control (DCC) which provides three interchangeable driving modes: economy, normal and power. In each case, the electrically adjustable shock absorbers adapt to the chosen style via a preselected programme. The variable seating layouts particularly in the Transporter give maximum operational flexibility. Even opening and closing the tailgate is made easy. Aside from a purely manual operation, the Transporter is now available with the option of automatic opening/closing which can be activated at the rear of the vehicle or remotely from the vehicle’s key or by a button on the driver’s door. option is Light Assist that performs automatic, camera-controlled switching on and off of the main headlight beam. The new Driver Alert System, which is standard in vehicles with a multifunction display, recognises any deviations from normal driving behaviour and recommends the driver takes a break. 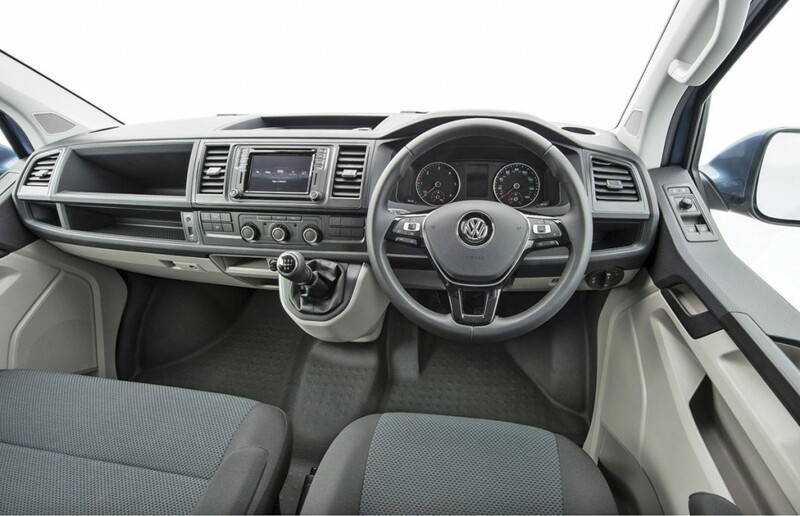 The impressive cab layout of the new VW T6 Transporter. Another new option is an electronic voice enhancement system which helps the driver to communicate with rear passengers while keeping their eyes focussed on what is happening on the road in front. Without any turning of the head, the driver’s voice can be automatically amplified and played back to the passengers over the Transporter’s radio system loudspeakers. communication systems. Much of it comes as standard but there is also a vast array of additional optional equipment available. The T6 Transporter comes in two lengths. The long wheelbase version is 5.292m long whilst the short wheelbase version is 4.892m long. There are three heights: 2m, 2.176m and 2.476m. The Shuttle versions offer sliding side door entry and provide seating for up to nine people including the driver. The Caravelle version has the ability to slide the rear row of seats forward to create more luggage capacity and the front two seats can be revolved through 360 degrees to allow the passengers to face the rear row of seats and there is also a table! There is no doubt that the new T6 Transporter is a stunning addition to the VW range and despite their recent problems I think it will prove to be every bit as popular as its predecessors.